The right moisture meter can mean the difference between a job well done or a job to be redone. At Moisture Meter Experts, we offer you the top brands in moisture meters for side-by-side comparison to be sure you find the right tool to suit your budget and your industry. 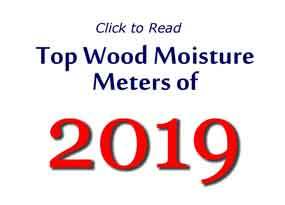 If you are in the market for a moisture meter for woodworking, flooring installation, or if you do any other work with wood, we want to be sure you know your options in order to make the right selection. Moisture occurs naturally in numerous types of materials and industries. These materials contain a certain level of moisture that is an integral part of their makeup. However, left unmonitored, that moisture can cause major potential problems, from flooring failures to inventory product losses to professional liability issues. An accurate moisture meter lets you measure and monitor the materials used in your business or hobby application for their appropriate moisture content (MC) levels. Having the right tool for the job is just as important as understanding the underlying costs of not measuring the material’s MC. Here at Moisture Meter Experts, we want you to find the right tool so that excessive moisture doesn’t catch you unaware. We offer expert moisture meter reviews, guides, comparisons, resources, and products all geared toward helping you identify and use the right type of moisture meter for your application. We are here to help because we know moisture meters.